Leeds, UK, 5th December 2018 – Utopia Furniture Group has rolled out a 5 in 1 cloud-based system from BigChange that combines mobile apps including electronic POD and vehicle tracking, with customer relationship management system (CRM). After the successful implementation of BigChange as a real-time transport management system, Utopia has now begun extending BigChange to improve back office and sales force automation. Utopia is the UK’s biggest manufacturer of made-to-order bathrooms. Established for over 25 years and employing 190 people, Utopia designs and builds high quality bathroom suites, bathroom furniture and accessories, supplying through an extensive network of over 600 specially selected retailers across the UK and Ireland. Utopia has developed a bespoke enterprise resource planning (ERP) system to underpin its growing business but needed to further automate logistics and especially the transport operation. BigChange was introduced initially to provide electronic Proof of Delivery (POD), having replaced their existing system. 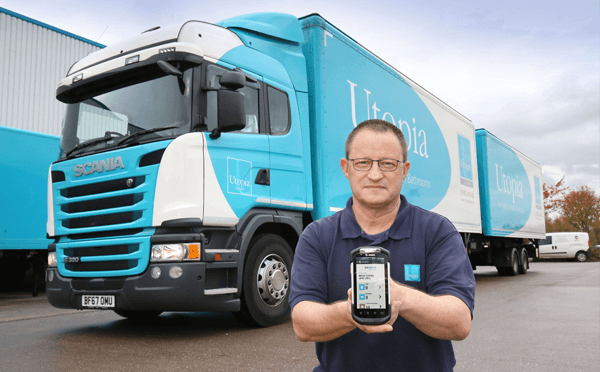 Utopia drivers are equipped with Zebra ultra-rugged enterprise touch computers that run the BigChange JobWatch App that includes delivery and collection reporting, with line item fast scanning and electronic proof of delivery ePOD, timesheets, expenses and vehicle inspections. 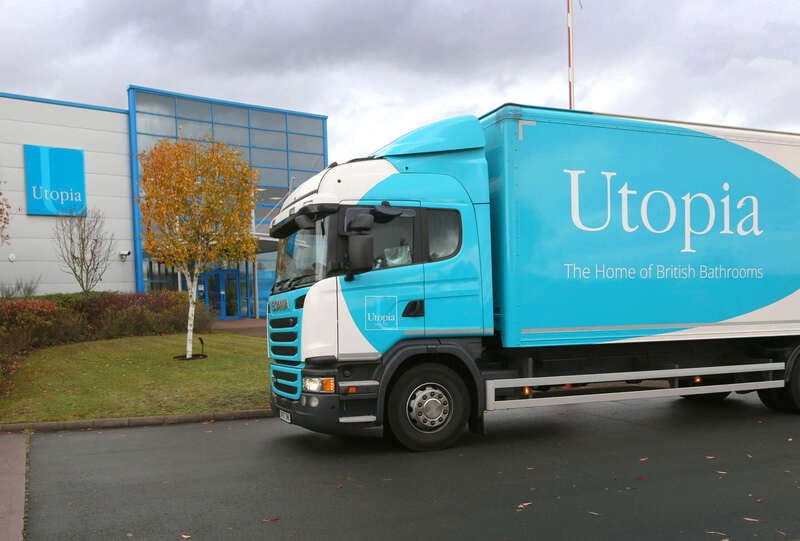 With a 28-strong fleet including drawer bar trailers and drop bodies, deliveries are made to retailers and trade customers across the UK from Utopia’s purpose-built manufacturing plant and HQ in Wolverhampton. BigChange has already been implemented to manage all transport related activities, provide real time tracking and electronic PODs, with vehicle inspections, driver performance monitoring and a link to route optimisation through comparing actual with planned journeys. With integration between Utopia’s delivery planning and Oracle ERP, BigChange CRM is now being implemented to manage the sales function. With the adaptability and wide scope of the BigChange system, Utopia took advantage of help offered by BigChange for implementation and embedding.